We all need a break from the “day to day” every now and then, and I’m literally just back from a cheeky week in Cyprus before we head into the main wedding season :-). First up though, I thought I’d share with you lovely people another wedding from the back end of last year, October to be precise. 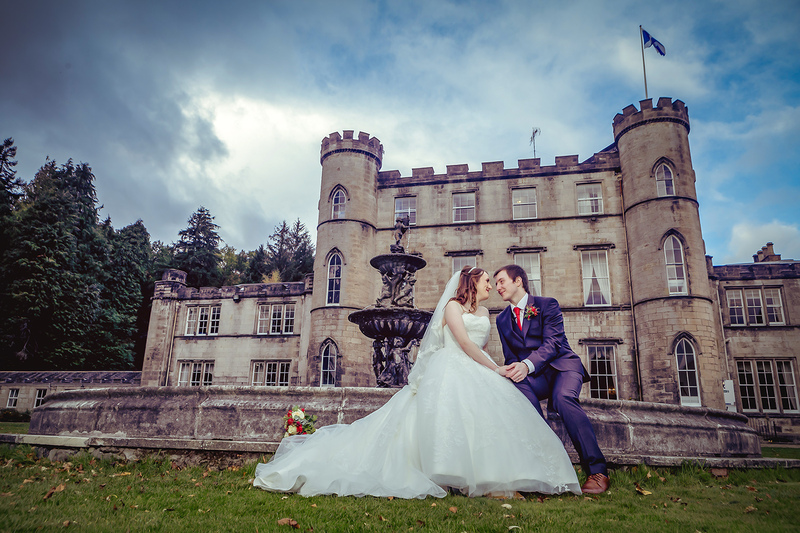 April & Adam’s big day at the fabulous Melville Castle was to be part one of yet another wedding “double header” (part two to follow later this week folks). There was a time when I used to shoot three, sometimes even four, weddings on consecutive days…these days though, I keep it at just two maximum just to ensure that I’m not burnt out and running on empty by the time it comes to the final wedding LOL – yep, apart from the break for dinner, you’re pretty much on your feet for about 10 hours non stop on a wedding day! I’ve got to be honest, April & Adam’s day was just a joy to shoot from start to finish, with one of the nicest couples I’ve come across in the (almost) 400 weddings that I’ve shot now. As usual, I stayed pretty much in the background for the majority of the day (as I like to do), just “popping up” occasionally for the group shots and a couple of short bride & groom shoots before and after dinner. When couples come to meet with me to potentially look to book and chat about their wedding day photography, one of the things I find myself doing is talking through a timeline of their day from a photography perspective, about how I typically shoot the day and advise on things like timings and the like…with over 300 weddings under my belt now, there’s probably not a lot that I haven’t come across! Oh yes guys, I have another cracker of a wedding today for you and, continuing with my weddings from October last year (which was a very busy month for me, as most of them are if truth be told), I’m delighted to be sharing Laura & Colin’s big day at Gleddoch House :-). This was my first ever visit to Gleddoch, if you don’t count the recce that I did beforehand but, as sure as night follows day, it wasn’t to be my last and I now have another three weddings lined up there this very year (2019 in case you’re reading this at some point well into the future LOL). October weddings can be a bit of mixed bag weather wise and, if memory serves me well, we did indeed get a bit of everything but boy was it a touch breezy – just look at that shot below of Laura’s veil taking off! 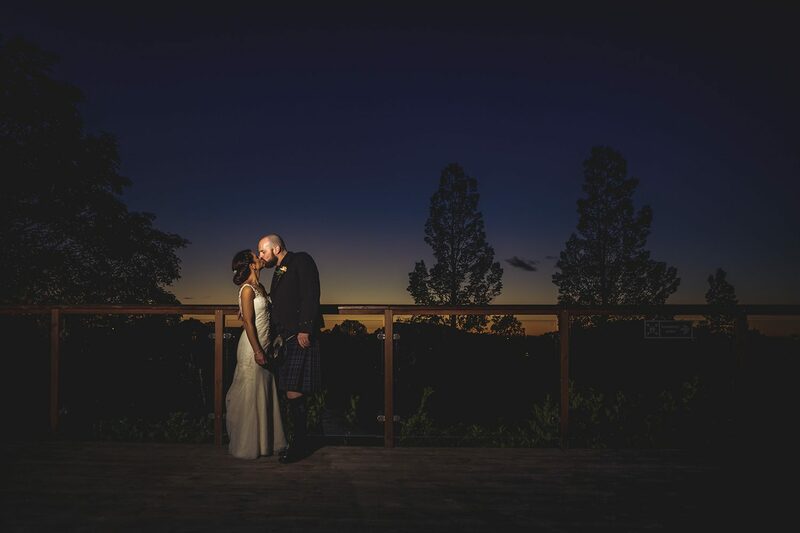 But, you know what I love about weddings at this time of year (and Spring as well), is that you can get out after dinner for a few shots in the dark…always some of my favourite…playing with light and shadows and all that! Boy am I lucky to be doing this job :-). 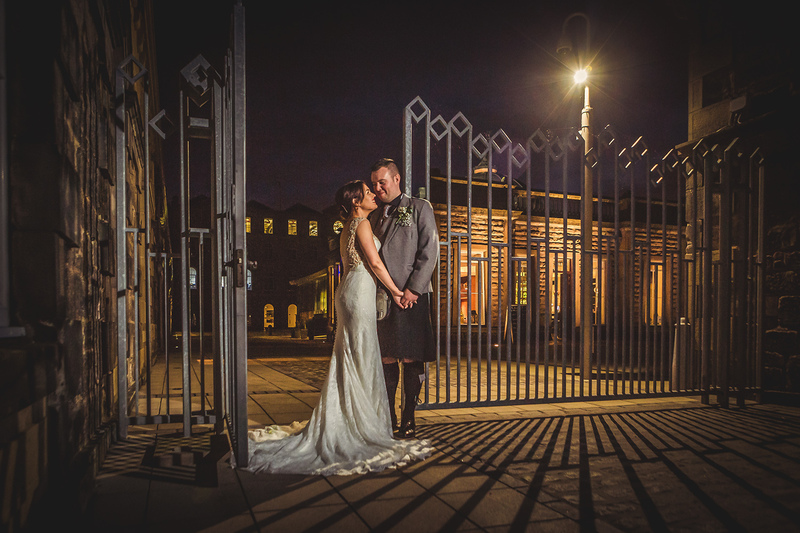 In all the years that I’ve been shooting weddings, I’d never had the opportunity to shoot at Eskmills Venue in Musselburgh and then what happens, yep, you’ve guessed it, a wee bit like buses, I get to shoot there three times in the space of just a few weeks…go figure :-). Lauren & Brian’s big day was the second of those three weddings so I was well versed with the venue and the surroundings by that point…which always helps I think :-). 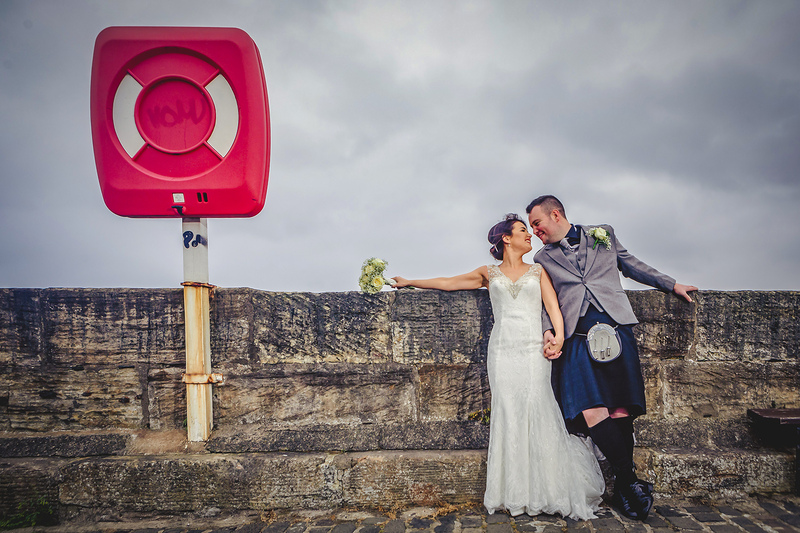 In addition though, we did also manage to squeeze in a very brief trip down to Musselburgh Harbour for a few shots but, as you can probably tell from the shots below…it was a bit drizzly and a touch breezy (slight understatement)! For my first wedding of a busy October last year, I was out at the very fabulous Mansfield Traquair for Katy & Eddie’s big day. 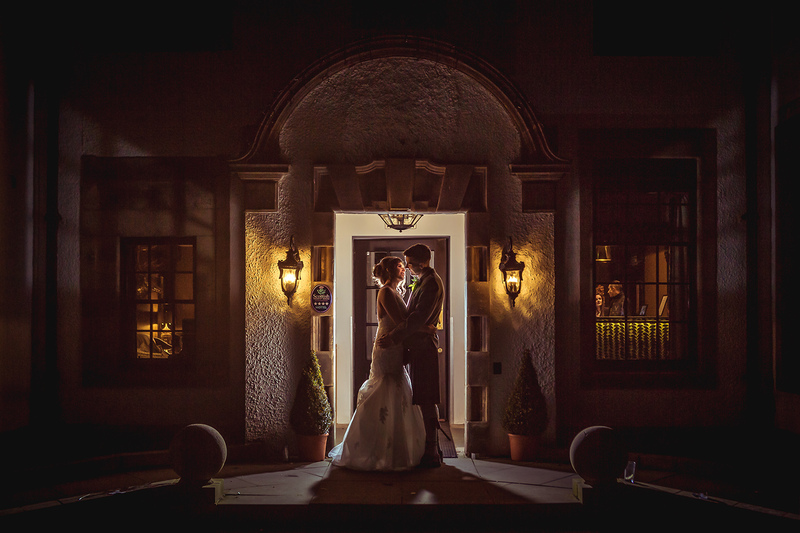 I mean, take a look at the shots below guys at this venue…stunning :-). And set right in the heart of Edinburgh too. I think it’s fair to say that most couples book me due to my “laid back” (if that’s the right word) approach to wedding days. You’ll never hear me barking orders or using a megaphone (trust me, I’ve seen it!). I’m a more of a “in the background” kind of guy (almost ninja like), looking out for those “moments” throughout the day that really capture what the day was all about, and every wedding day is about different things. Sure, there is a point in the day where we will take some time for a few family group shots and a short bride & groom shoot but it only “short” – the general running order of weddings in this country usually dictates that there’s not much more than an hour to get everything done, if that. But that all suits my very observational approach anyway, so all is good with the world :-).